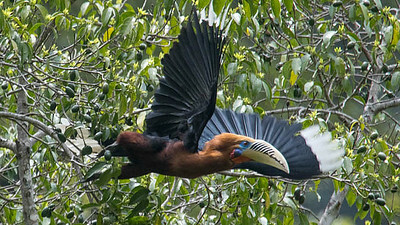 A Rufous-necked Hornbill launches from a fruiting tree below Zhemgang at 5,200'. Photo by guide Richard Webster. 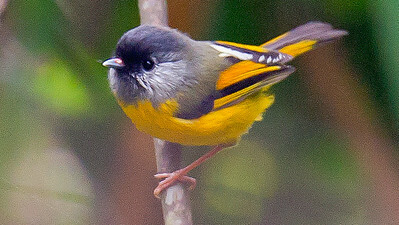 Golden-breasted Fulvetta at Phrumsengla N.P., photographed by participant Johnny Powell. 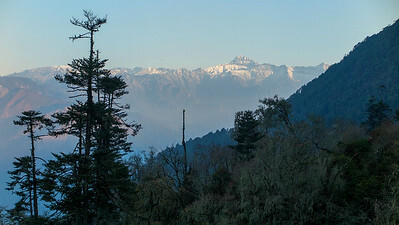 Some of the minor peaks of the Himalayas, as seen from 11,000 feet elevation at Pele La. Photo by guide Richard Webster. 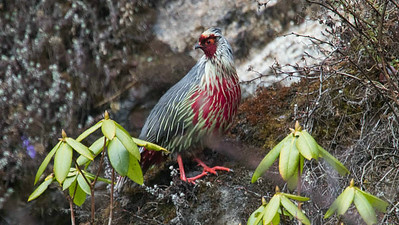 A stunning male Blood Pheasant just below Thrumshing La at 11,400'. Photo by guide Richard Webster. 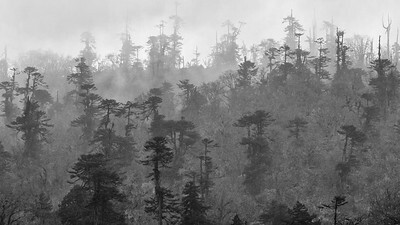 High-elevation forests east of Yotong La at 11,400'. Photo by guide Richard Webster. 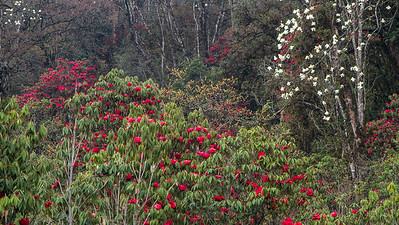 Blooming magnolias and rhododendrons at Yutong La at 9,750' elevation. Photo by guide Richard Webster. 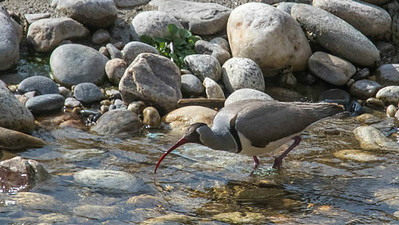 One of Bhutan's iconic birds, the Ibisbill, is a shorebird in a monotypic family. This one was at 7,000' along the Par Chhu river. Photo by guide Richard Webster. 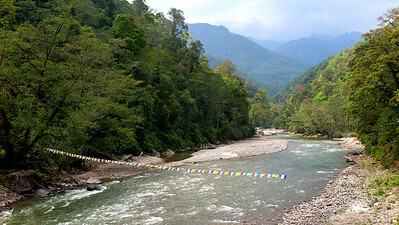 Prayer flags over the Mo Chhu river, Jigme Dorji N.P. Photo by guide Richard Webster. 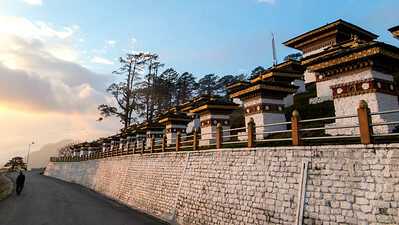 The chortens of DoChu La in early morning light at 10,000', photographed by guide Richard Webster. 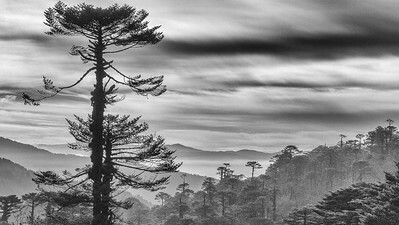 Misty forest above Pele La, where we were fortunate to see both Himalayan Monal and Blood Pheasant at 11,000'. Photo by guide Richard Webster. 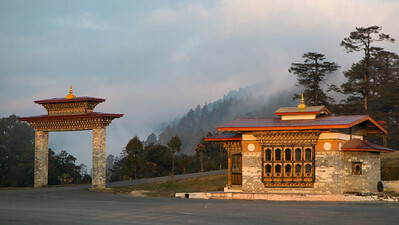 DoChu La (10,000') above the capital of Thimphu. Photo by guide Richard Webster.